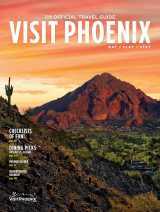 Don&apos;t be surprised if during your visit you begin dreaming of making Phoenix your home. You wouldn&apos;t be the first and certainly won&apos;t be the last. More than allure surrounds our desert metropolis; a combined promise of economic opportunity and quality living convinces more than 50,000 people to move here each year. If you&apos;re thinking of counting yourself in, you&apos;re sure to find a welcome reception. Phoenix is now America&apos;s fifth-largest city — a sophisticated, urban region of more than 1.4 million people with a marketplace valued at more than $50 billion. Our population is young, educated, multi-cultural and upwardly mobile. Our residents are as equally dedicated to hard work as they are to play. We are culturally and artistically minded and new and long-established residents alike share an appreciation of the unique land we call home.